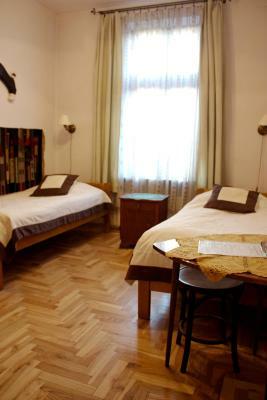 Lock in a great price for B&B Kolory – rated 8.6 by recent guests! 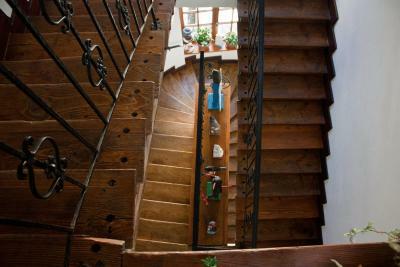 I very much enjoyed the location of the B&B and the way the staff interacts with the customers. The check-in and check-out process was great. 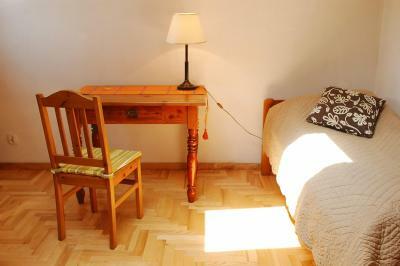 The design of the room is really interesting, especially looking for something "else", not the standard hotel furniture. Breakfast was really nice and plentiful. Everything was fresh and well prepared. Staff spoke excellent English and was willing to help us find our next stop. I would stay here again. The location was perfect for exploring the city on foot. I liked the folksy decor and everyone on staff was very nice and helpful. Breakfast was excellent for a cold breakfast, including a nice variety of cheese, sliced meat, bread and pastry, fruit, cereals, yogurt, coffee and tea, etc. I assume they have no kitchen. Excellent location and really nice and helpful staff. We would definitely come back! Very fun and nicely decorated old hotel in the historic Jewish section of town. Great location. Very nice looking apartment. Comfortable. Great staff. The only thing that we liked was the staff. They helped us a lot. One of them, named Rose helped the most. She was great ! 1. Breakfast is the same every day, without any change. It gets quite boring. There are no eggs, the same types of bread, different sliced cheeses, and lots of pork products, which I don't eat. 2. 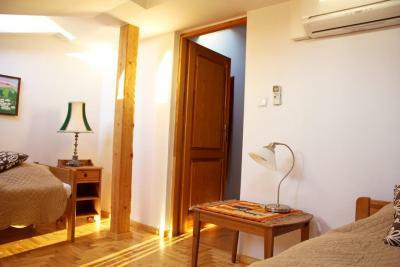 The room is decent, with okay value for money. 3. Most people stay 2-3 days, but not more. 4. The area is historic and was the center of the Jewish area. Residents were killed during WWII, and the area now attracts many visitors. There are seven synagogues in the vicinity, all within easy walking distance. 5. 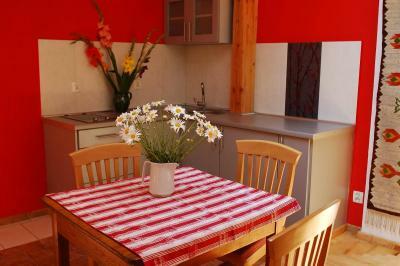 There are many restaurants in the area, some which are very reasonable in price. 6. There are also local food outlets that are very reasonably priced. 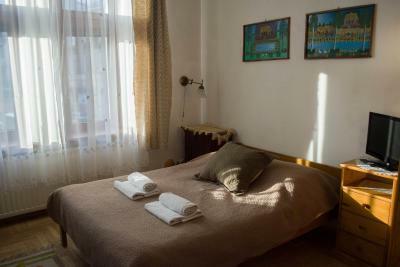 Located in the heart of Kraków’s Kazimierz district, B&B Kolory offers air-conditioned rooms with satellite TV and free Wi-Fi. They all feature private bathrooms with a hairdryer. 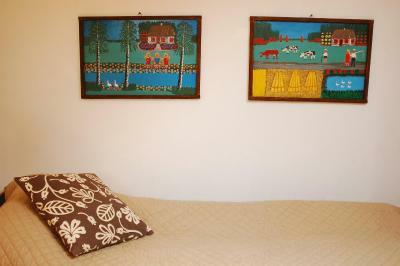 The rooms at the Kolory are bright and are decorated with Polish folk art. For guests’ convenience, a fan has been included in each. Some have a balcony. 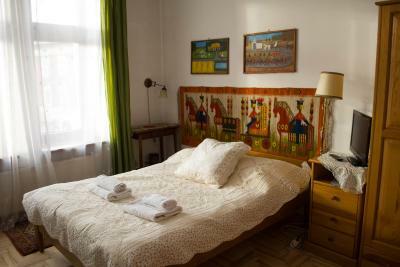 B&B Kolory is located just next to New Square (Plac Nowy), in an area featuring many restaurants, cafés and pubs. The Tempel Synagogue is 350 feet away, and the Wawel Castle is within 0.6 mi away. 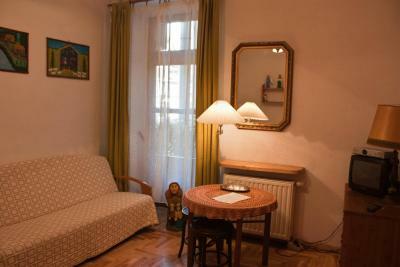 The Kolory’s staff is available 24 hours a day, and offers a tour desk and ticket service. They can also organize an airport shuttle. 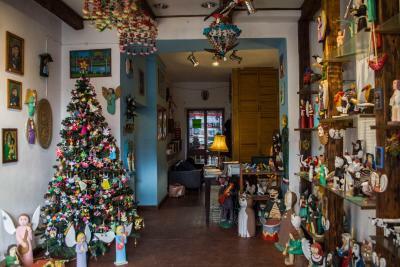 In addition, there is a shop at the property. 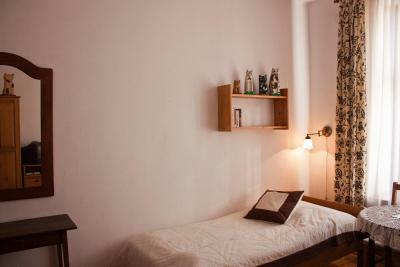 뀐 Located in the real heart of Krakow, this property has an excellent location score of 9.1! 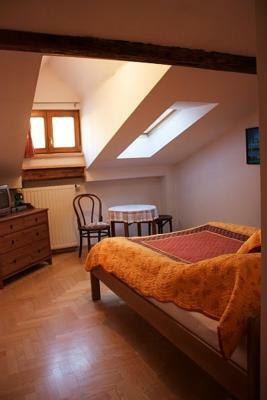 When would you like to stay at B&B Kolory? 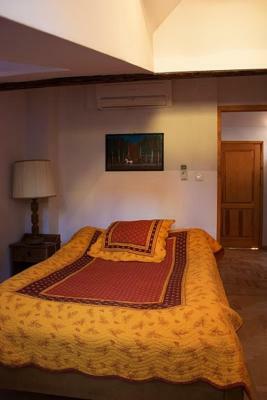 Air-conditioned room with a bathroom and TV with satellite channels. 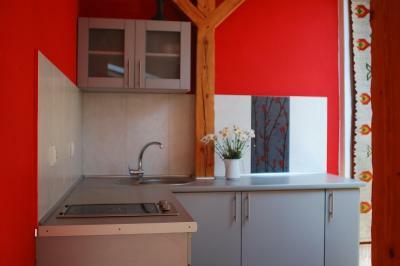 Elegant apartment with a seating area, a balcony, and a kitchenette. 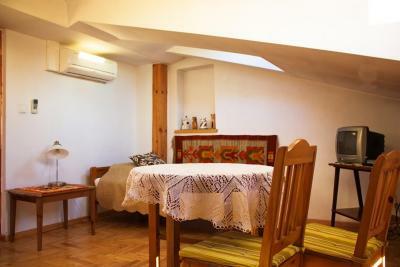 Spacious, elegant apartment with a living room with a seating area and Polish folk art. 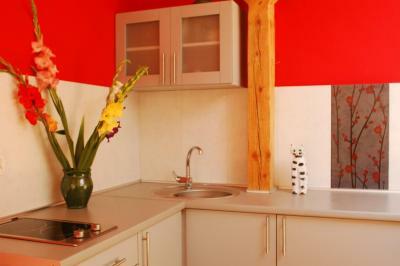 House Rules B&B Kolory takes special requests – add in the next step! 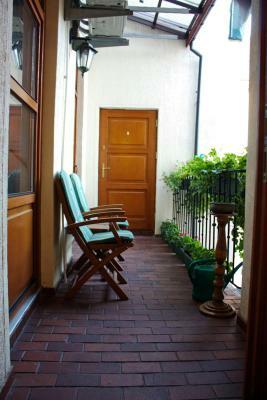 B&amp;B Kolory accepts these cards and reserves the right to temporarily hold an amount prior to arrival. 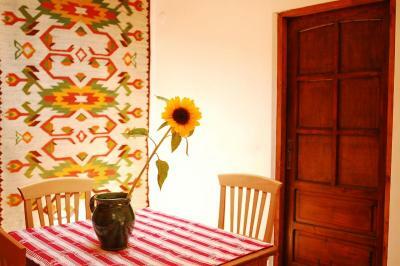 B&B Kolory accepts these cards and reserves the right to temporarily hold an amount prior to arrival. Its the area with lots of bars for young people - was very noisy from the street. Would not call it clean area. Located next to local market. The place is next to the bar. 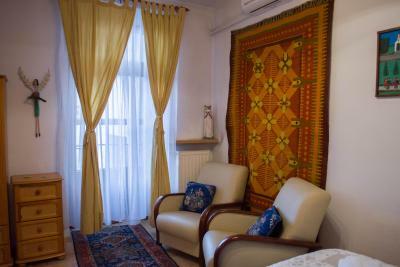 Old carpets on the walls - completely opposite from the photos which we saw when booking. The best location in Kazimierz you can imagine, yet it was rather quiet inside. 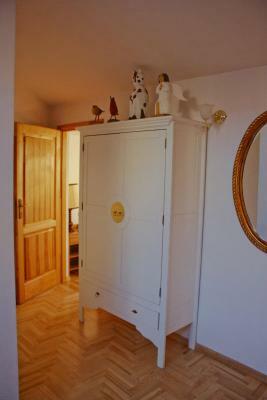 The room was clean, and even though it's been a while since last refurbishment, it had a nice atmosphere. Breakfast was good, nothing fancy but sufficient. Staff was very friendly and made you really feel welcome. Definitely worth a stay if you like places which have a soul and are reasonably priced. 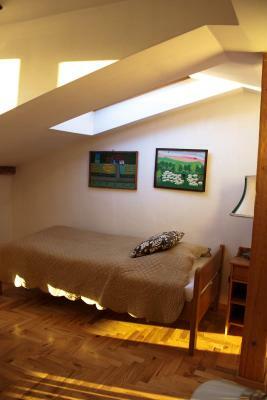 I loved my little folky room, with comfy bed. Powerful shower, fantastic location, and amazing energy. I will be back for shizzle! Supernice place. 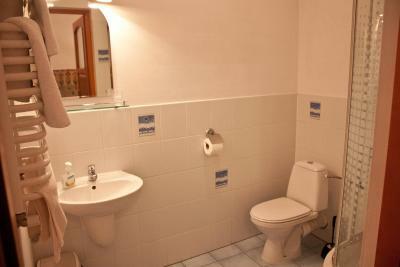 Clean friendly and comfortable. Good wifi. 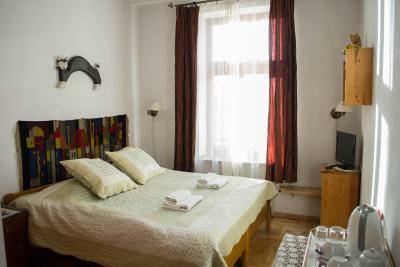 If you like staying just in the heart of the city (Kazimierz region, just in the center of it) and want to feel the artistic spitit of this city and like old houses with classical wooden furniture--this place is for you! Also stuff is very friendly. It’s not a thing that is to intense but there’s some noise on the street due to the bars surrounding the house. 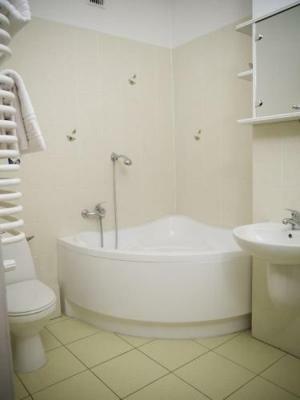 Very clean, located in a great place (near the center) for take a drink. 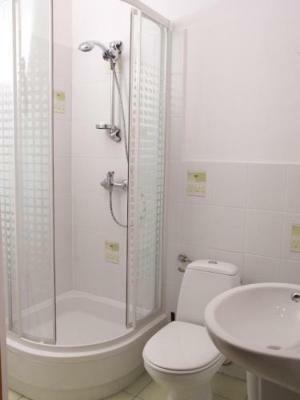 Very clean, friendly staff, great location. WiFi bad . Breakfast bad . Cleaning ladies smoking outside our bedroom all day. The initial welcome I got was great and the member of staff very helpful and gave good recommendations throughout my stay. Some of the other staff not so although still polite. Besides the bin being emptied no other room cleaning carried out during my 5 night stay. My room overlooked the vibrant market place/square (brill and would want it again! )and yes, at times a little noisy but not a problem for me. 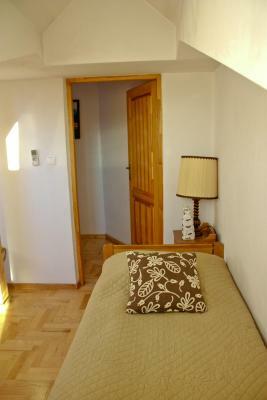 A traditional small Family b&b/hotel in a great location. Breakfast sufficient and a fair choice, although not any hot food, a typical continental breakfast. Great value for money. Many bars and fabulous restaurants nearby. Good public transport around. About 15-20 minutes walk to the Old town market square.